About Us : ProSuranceGroup Inc.
ProSurance Group has been in business for over 20 years. We began with modest resources, probably just like you. Therefore we can help you wherever you are in your business growth. So give us a call, we’re here to help you. We have a history of being a leader in recognizing and answering the needs of financial professional. Today we continue to focus on the Financial Services Industry and meeting its’ insurance needs. ProSurance Group was founded in the 1990’s as a managing general agency for professional liability. It specializes in underwriting and marketing the more difficult lines of insurance, where there is less competition and a greater likelihood of selling the proper price and terms. ProSurance has emphasized lines of insurance where knowledge of the class and intelligent underwriting can make the difference between making a profit or not. As a consequence, ProSurance seeks to employ underwriters with substantial insurance company experience, and expects them to exercise their judgment both on new and renewal accounts. The Financial Services Division seeks clients in the financial services industries, namely, financial planners, investment advisors, life insurance agents, security broker/dealers and their registered representatives. It manages a program on behalf of an A+XV Company, which insures these individuals and their firms for their E&O exposures. PSG’s responsibilities include marketing, underwriting, and policy issuance. In addition to underwriting professional liability, ProSurance Group offers fidelity and surety bonds. ProSurance Group markets through independent sub producers and, in some cases, directly to its insureds. With ProSurance you are protected. Prior to founding ProSurance Group, its principals, John Wagner and Donald Satterlee, founded another organization that pioneered coverage for security broker/dealers. They developed a program to insure the financial service industry, including security broker/dealers, and founded a risk retention group to provide the coverage. They personally wrote the policy forms and endorsements, developed the rates (which were reviewed by independent actuaries), and developed the underwriting guidelines. They managed this highly profitable captive for many years. In addition to the duties they presently perform, they also adjust the claims reported to the risk retention group. John Wagner and Donald Satterlee were able to transfer this successful experience to the program presently they are presently underwriting. They drafted the policy forms and endorsements, and developed the underwriting guidelines, rates and rating plan presently in use. Dr. Wagner has a broad background in the insurance industry encompassing both the agency and insurance company sides of the industry. He has proven himself both in line management and as an administrator in many functional areas, including underwriting, risk management, marketing and strategic planning. He is also trained and experienced in finance, tax and investment management. Among his many accomplishments are restoring two distressed companies to profitability, establishing strong revenue growth in another and substantially reducing expenses in a fourth. 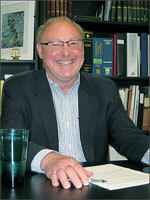 Mr. Satterlee has more than 40 years of insurance related legal, regulatory and management experience. As a litigator, he had extensive experience in the preparation and trial of a wide variety of liability and property cases. He has also set up and managed a nationwide system of insurance defense litigators. As Claims Counsel for the Argonaut Insurance Companies, Mr. Satterlee provided advice and counsel to all phases of insurer claims and underwriting operations. Acting as General Counsel, Mr. Satterlee has also provided legal support for all areas of insurance company operations — claims, data processing, personnel, marketing and advertising, insurance licensing and regulation and underwriting. Mr. Satterlee has long been active in insurance industry affairs. He helped draft pioneer insurance guarantee legislation and served on the California Guarantee Association Board of Governors. He also drafted one of the industry’s first claims-made insurance policies. Dorothy Kent, a former ProSurance Group executive for over ten years, has rejoined the firm to oversee the operations and management of the new Crime Division. 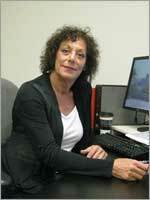 Dorothy has had a long career in the insurance industry, both on the company and agency side. 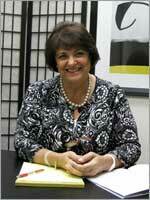 She began her career underwriting Fidelity and Surety for CIGNA (formerly known as INA) and continued with AIG. While at AIG Dorothy was the National Union Regional Manager, responsible for the underwriting and production results for all divisions including Directors & Officers Liability, Professional Liability, Surety and Fidelity. At ProSurance Group, Dorothy was the Underwriting Manager for the Financial Services Professional Liability Insurance Program, dealing with brokers nationwide. She was responsible for marketing ProSurance Fidelity accounts to various carriers, in addition to underwriting Errors & Omissions coverage Dorothy joined Crum & Forster as Regional Crime Manager after leaving ProSurance Group. She was responsible for the Crime Division, where she established and ran the branch office operations in San Francisco, Los Angeles and Chicago. Ms. Canlis’ broad insurance background, encompassing company underwriting and management, began over 29 years ago with Fireman’s Fund Insurance Cos. She later joined the brokerage community and performed, both as a wholesaler and retailer, as administrator and manager of many nationally underwritten programs. Her duties have stretched from creation of the program to underwriting, marketing, production, advertising and administration. Ms. Canlis’ expertise in program business is broad based, including medical malpractice, petroleum, trucking and auto dealers. Her experience on both the company and brokerage sides gives her unique perspective in setting up and administering large books of business and dealing with agents on a wholesale basis. Jim Stevenson has over thirty years of underwriting experience at various levels primarily with Fireman’s Fund Insurance Companies. He began his career with the Fireman’s Fund Insurance Companies handling package and worker’s compensation risks in California. He later moved into Product Management for Commercial Group Programs responsible for developing underwriting guidelines and auditing the underwriting of those programs. In the early 1990s he was a Business Development Manager for Commercial Group Programs in Chicago. Most recently he was Senior Product Director for Fireman’s Fund Professional Liability Programs responsible for program design, development of products and managing profitability. He designed and launched a program for Broker Dealers. At ProSurance Group, Jim is underwriting Broker Dealers. Ms Barnette has been in the insurance industry over 30 years. She started her career in 1978 with Ohio Casualty Insurance Company as a multi-line underwriter. Karla was a Senior Underwriter specializing commercial lines and program business for several years with Citation and CNA as well as managing an underwriting team composed of 13 people. As a Senior Underwriter at ProSurance Group since 2001 Karla has specialized in underwriting and managing Financial Planners, Broker/Dealers RIAs as well as Tax Accountants and Life Sales Insurance Agents in the Financial Services Industry. Additionally Karla provides our clients with Surety and Fidelity coverages as well as D & O for her insureds. Her broad background in both personal and commercial lines and all facets of the industry allow Karla to bring valuable experience to her job at ProSurance group. Karla graduated with a BA degree in Liberal Arts from Ohio University. She currently serves on the board of Directors for the United States Tennis Association. Tom Bonnau joined ProSurance Group Inc. in January of 2000 as an underwriter with over ten years experience in the insurance industry. Now a Senior Underwriter, Tom underwrites and manages new and renewal business for Financial Service Professionals and their firms. Tom graduated from Florida State University with a BS degree in Criminology and completed his post graduate work at Golden Gate University in San Francisco with a Master of Science degree in Human Resource Management. Joining PSG in 2005, Kimberly manages our large group accounts. She has been in the insurance industry for over 13 years, mainly in the compliance arena. Prior to coming to PSG, Kimberly worked for Arthur J. Gallagher, Republic Indemnity and ABD Insurance Services, starting in 1997 and holding various positions. Kimberly holds an AA degree in Legal Administration and an AA in Business Administration which she completed in 2009. Kimberly Luong joined ProSurance Group, Inc. in April of 2006 as a Customer Service Representative. She began her insurance career in 2003 with Lawson Hawks Insurance Associates as a Commercial and Personal Lines CSR. Kimberly was born in Vietnam and attended High School in United States. She completed her BS degree in Computer Information System through San Jose State University while working. As a CSR at Prosurance Group, Kimberly specializes in issuing Financial Planners, Broker/Dealers and Life Agents policies in the Financial E&O program. She also assists customers daily in answering questions assisting them with new business submissions and quality control. Kimberly also handles the Surplus Lines Licensing for all states. Her background in both personal and commercial lines allow Kimberly to bring valuable experience to her job at PSG. Laura joined ProSurance Group, Inc in January 2012 as a member of the CSR team as an Accounts Manager. Prior to joining ProSurance Laura began her insurance career in 2003 with State Farm Insurance as a sales and marketing representative. Laura completed her BA degree in English through California State University of Chico in 2002. Laura is in charge of our renewals for both Financial Planners and Broker Dealer programs. Laura is married and has a very active 3 year old boy that keeps her very busy. Laura is a wonderful new asset to ProSurance Group and we look forward to having you meet and work with her in the future. Michael Chen is the Accounting Manager at ProSurance Group, Inc. His 10+ years of accounting experience began at WCPI, LLC in San Francisco. He joined Silicon Valley Capital Club as an Accounting Manager when he moved to the South Bay Area. He manages all budgeting, projections, banking, insurance company, and specialty accounting programs and has done so at various industry levels as both a manager and a team leader. Michael brings a great deal of accounting savvy to our group and has organized and maintained our accounting department brilliantly since his arrival. Michael originally hails from Shanghai, China. He graduated with a BS in Accounting from John Brown University in 1994. Michael and all of the ProSurance family are awaiting the arrival of his wife to America within the next 18 months. Katelynn Phan joined ProSurance Group in 2005 after completing her Bachelor of Science Degree in Accounting at California State University at Hayward. Originally a junior accountant Katelynn has risen quickly taking on more and more responsibility. Currently, Katelynn is responsible for the accounts payable, vendor payments, collections, bank reconciliation and coordinating the surplus lines filing and tax payments. She is now a General Accountant and working under Michael Chen continues to excel and handle more responsibility. Cynthia Bjornson has over twelve years experience in the insurance industry, specializing in customer service. She joined ProSurance Group in September of 2010, bringing with her attention-to-detail and excellent communication skills. Prior to her insurance experience, Cindy was active duty military (U. S. Marine Corps) for over six years. She is married and has three children. She joined our ProSurance Group family bringing not only her experience but her “team member” personality. Please welcome Cindy when you speak with her. Pat Douglass joined Prosurance Group July 2012 to assist Dorothy Kent in underwriting the Markel fidelity insurance program. She has a long career in the retail insurance industry as a commercial CSR and earned her Associate in Risk Management (ARM) bringing with her experience in all lines of commercial coverage. Golf, hiking, movies and music are among a few of her interests.